ERISA DOL Fines Increased 72% in 2017. They Expect More in 2018. ERISA DOL Fines Were Up 72% in 2017. The EBSA Expects More in 2018. Whoever thought a Republican administration would be easier on ERISA DOL fines and other enforcement efforts would be very wrong. For FY 2017, the Department of Labor’s (DOL) Employee Benefits Security Administration (EBSA) agency closed 1,707 compliance reviews with 1,114 of them (65.3%) resulting in $1.1 billion of total monetary results. 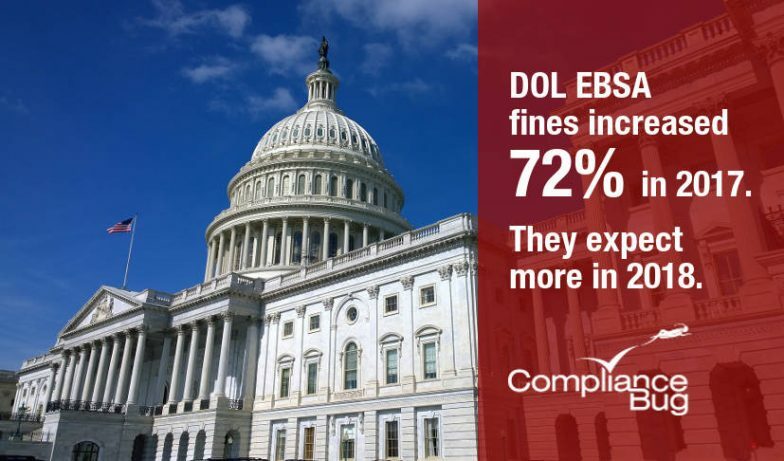 This represents a significant 72% INCREASE in ERISA DOL fines when compared to only $777 million in FY 2016. These three points demonstrate their commitment to ensuring employers are taking them seriously. Moreover, their desire to consolidate many of their activities into a single comprehensive and integrated approach, is very interesting. In our landmark 2013 analysis that reviewed how DOL audits impact health and welfare plans, we found more than 32% of health and welfare plans incurred fines and penalties of more than $10,000 and 5% in excess of $50,000. Now, in light of the EBSA’s more streamlined approach, it means if you still believe “the DOL will never get around to auditing me” you need to rethink your position. 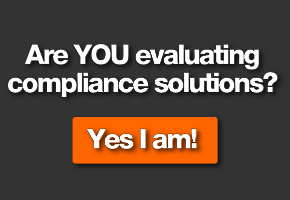 With more and more data being reported to (and shared) electronically between agencies, it should be presumed that any DOL audit (including common Wage and Hour audits), OSHA audit, IRS audit, HHS audit or any other of the Federal agencies, will trigger an investigation into other areas of employer non-compliance. 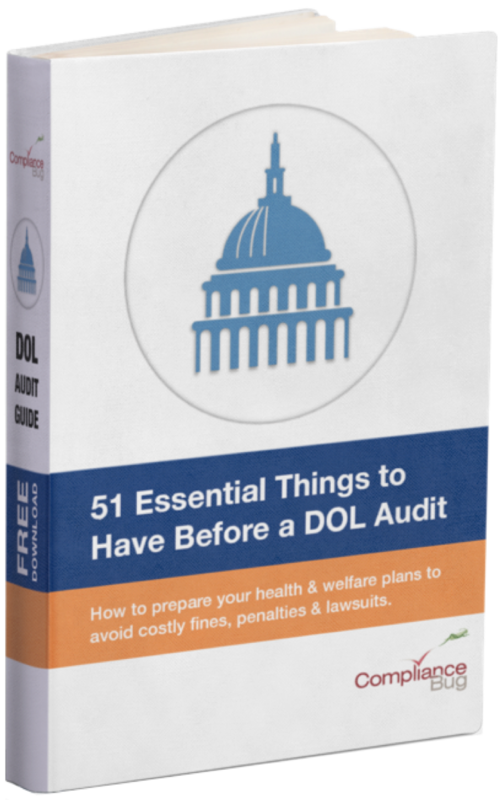 To prepare for an eventual DOL audit (or civil lawsuit) employers should adopt a comprehensive compliance approach that include tools to ensure compliance deadlines are met, risk assessments to identify compliance gaps, and other training and educational resources.